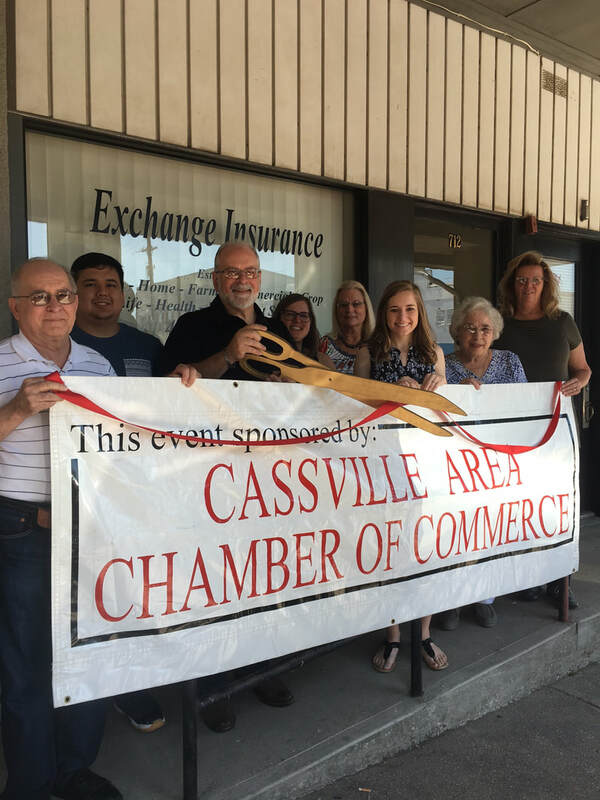 Exchange Insurance recently held a ribbon cutting with the Cassville Area Chamber of Commerce. Pictured above, from left to right: Ralph Gouvion, Hersayn Fierro, Ron Gouvion, Skyler Bowman, Cheryl Williams, Grace Fierro, Viola Gouvion and Sandra Gouvion. Exchange Insurance is open from 8:30 a.m. to 5:00 p.m., Monday through Friday. The office phone number is (417) 847-7621. Check out Exchange Insurance’s website at www.exchangeinsagency.com. They are located on the back side of the square at 712 West Street. Exchange Insurance Agency, Inc. is an independent, full-service insurance company based out of St. Paul, Kansas. They are a family owned and operated business that has been serving their customers since 1964. They offer all forms of insurance including auto, home, farm, crop, commercial, life, and health along with retirement options including IRA’s, long term care, and medicare supplement coverage. In June 2018, Exchange Insurance opened a satellite office in Cassville. Local agent Grace Gouvion-Fierro is the third generation to work for the company. This location has allowed Exchange Insurance to serve more customers in the Missouri, Arkansas, Kansas and Oklahoma areas.